She turned her newspaper articles into a book. AFTER OUR FRIEND William died, we helped empty his house and put it on the market. His downstairs tenant was moving, and the pregnant cat that lived mostly under the house and on the street was left without a home. It turned out no one wanted a pregnant cat — not the nearby Pets Unlimited, nor the SPCA, nor anybody else. So we took her home. Then she had 11 kittens — on 7/11, no less. This did not seem lucky, at least not for us, now with a dozen cats. Although she was busy enough already, eating and nursing and grooming, again and again and again, we put her to work writing for the neighborhood newspaper. 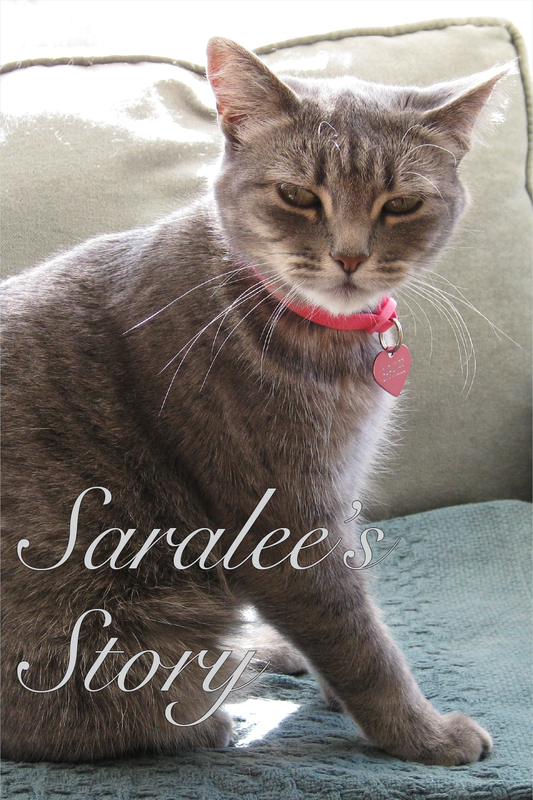 Her nametag — and byline — said simply Saralee. It turned out she was a talented writer with a gift for delicate phrasing and an eye for the wry detail. “I’ve called this beautiful neighborhood home my entire life — more than two years now, although a proper lady never tells her age,” she began her first story. A visit to the vet capped her prolific output at 28 kittens. Her stories in the New Fillmore made motherhood sound like a joy. “I have to say, this might be my most beautiful brood yet,” she wrote. She told her story so well that all of her kittens found new homes — and, in the process, we became related by cat to many of our neighbors. Her kids would write on Mother’s Day and 7/11. It was a lucky day after all. Nearly everywhere we went — to a local restaurant, store, church or coffee shop — we’d get an update on Saralee’s kids. She turned her stories into a book, available on Amazon. And she blossomed into a beautiful and classy Miss Lady, with a lipstick pink collar and heart-shaped nametag. Saralee died on July 28 after a short illness. She will be missed by many in the neighborhood — and in the literary world.